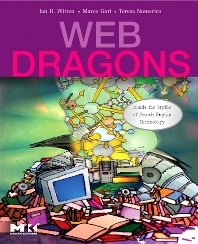 Web Dragons offers a perspective on the world of Web search and the effects of search engines and information availability on the present and future world. In the blink of an eye since the turn of the millennium, the lives of people who work with information have been utterly transformed. Everything we need to know is on the web. It's where we learn and play, shop and do business, keep up with old friends and meet new ones. Search engines make it possible for us to find the stuff we need to know. Search engines — web dragons — are the portals through which we access society's treasure trove of information. How do they stack up against librarians, the gatekeepers over centuries past? What role will libraries play in a world whose information is ruled by the web? How is the web organized? Who controls its contents, and how do they do it? How do search engines work? How can web visibility be exploited by those who want to sell us their wares? What's coming tomorrow, and can we influence it? As we witness the dawn of a new era, this book shows readers what it will look like and how it will change their world. Whoever you are: if you care about information, this book will open your eyes and make you blink. Those interested in or who need information on today's fast-changing landscape of information access, who use search engines daily and may be affected by web spamming, selective access to information, or the problems of monopolistic control of information – just to name a few. Typical readers would be those in the software business, in particular in search engines, web content management, knowledge management, web advertising, and the law and ethics that surround this field; professionals in information science; librarians; and anyone that is interested in the ways in which the increasing amount of information will become accessible to us.